Pondok Buruk: TAG Heuer Sale!! It's only RM 300++. 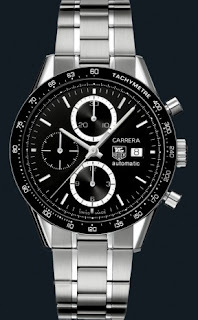 TAG Heuer Carrera. If you interested, just read below for more details. Do you know what is TAG? TAG is a label. In my dictionary TAG is when someone ask you to answer all the question from him/her. This is my personal blog and I don't allowed any advertisement or promotion. Title above it's only a gimmick from me to attract you and you and you to read this and automatically you was TAGged by me! Hahaha.. Everyone who read this. 3. Look to your left, what do you see? 4. Where do you like to be the most? 5. What’s your fav. film? Pursuit of The Hapiness and Blow. 6. What does the last person you commented on FS mean to you? Everyone in this world is important to me. 7. What did you last laugh about? 8. Where was your default took? 9. What’s the first thing you look for in a girl/guy? 10. If you’re still in school, what’s your fav. lesson? 11. What do you work as/want to work as? Prod. Manager and I want to be a CEO for my company. 12. Do you play video games? If so, which is your fav. game? Yup. FIFA, Winning Eleven, Tekken, Need For Speed & Basketball. 13. Who never fails to make you laugh? 14. What are you listening to right now? 15. Who did you last have a sleepover with? 16. I bet you miss someone, who? My mom, my dad, my family, my granny and her. 17. Are you happy with your life right now? 18. Why did you last get upset? Hurm.. Better i just keep it. 20. Who do you live with? 21. Do you like living with them? 22. Who did you last shout at and why? Someone dear to me. For a good reason. 23. Are you normally a happy person? 24. What was the last thing you went to see in the movies and with who? 25. Whats your fave food? 26. Are you in love? Yup. With Him and everyone in this world. 27. Do you remember how you was 3 years ago? 28. If so, does it make you cringe? 29. If you could be with someone right now, who would it be? Someone who will love me till my last breath. 30. Whats your fave thing in your room? 31. If you had one wish, what would you wish for? Healthily and always with HIM. Back to Tauhid. I love all of you! Sorry if I hurts you and sorry for everything. Thank you so much dear, for spending your time to answer this TAG thingy. Do take care & Salam Maal Hijrah to you, may everything will falls into its rightful place, soon. zara : No problem, you takecare and Salam Maal Hijrah too. InsyaAllah everything going to be fine. I sker Pursuit of Happyness tuh! Best. nangeh2 kat ofis masa layan. Cahaya : That was a good film! Mmg akan nangis la.. Hehe.